The signs of the collapse of the video rental industry are everywhere. Or at least they were in 2010 and 2011. Driving around Ann Arbor, Michigan, I watched as all the local stores closed for business, from the independently owned Liberty Street Video, down the street from my office, to the various Blockbuster and Hollywood Video locations (figure 2). At the time of this writing, the only places left in town to rent movies are a gas station, the public library, and the Redbox kiosks outside my grocery store and pharmacy. There is almost no indication that there were ever any video stores in Ann Arbor at all. Instead, there are new businesses in these locations or For Lease signs in the windows. The disappearance of the video stores in Ann Arbor is a local instance of a national trend. But what is remarkable is that these closures appear so unremarkable to so many people. Aside from the occasional article in a newspaper or trade publication, or the odd blog post devoted to nostalgically celebrating rental stores, the waning of the video rental industry seems to have gone unnoticed by the everyday Americans who were once these stores' customers. It is likely that many of these people stopped using their video stores long before the businesses closed; their disinterest made them oblivious to the industrial change they engendered. If the video store was no longer a landmark in these people's minds, then it disappeared as a genuine landmark as well. Perhaps these places were never landmarks in the first place. Whether they were seen as important or not, video stores were vital components of the mainstream media industry and everyday Americans' lives for nearly twenty-five years. The first video rental stores appeared in 1977, shortly after Hollywood films were first licensed for release on magnetic tape. By 1987, revenue from home video releases overtook the theatrical box office. Whereas there was no such thing as the video store in 1976, there were about 30,000 such places in 1989. As a point of comparison, there were around 22,000 theatrical movie screens in this same year, and many fewer theatrical locations. This represents a profound change in the landscape of movie culture in America over the course of the 1980s, one that would obtain through the 1990s until the rental industry began to fragment and dissipate in the early 2000s. Certainly people still went to theaters to see movies during this era, or watched them at home on broadcast and cable television, but these venues were now just two options among many for accessing movies. Video stores were a common part of the American media landscape. Yet most of these places have disappeared as suddenly as they appeared. 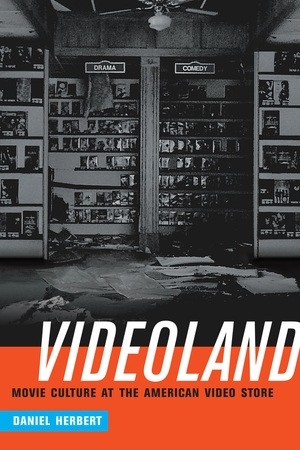 Whereas other chapters in this book look at the internal space of video stores and their place within specific communities, this chapter examines the place of video stores within American media culture at large. The home video industry facilitated and reacted to subtle but deep changes in the ways that Americans related to entertainment in general and to movies in particular. Video rental stores expanded, localized, and fragmented movie culture. In their rapid growth and geographic spread, video stores created a new abundance of venues in which people could engage with movies and movie culture. They gave people access to movies as tangible, portable objects, and Americans treated them as a new and proper venue for acquiring movies. Video stores were mainly located amid the habitually trafficked retail landscape; in this respect, they made movie culture casual and routine by expanding it into Americans' everyday public spaces. The fact that these locations appeared alongside and similar to bookstores, record shops, and other retail sites that encouraged habitual use meant that video stores were easily assimilated into the cultural geography of diverse locations across the country. Further, video stores increased Americans' degree of access to movie culture. Both Joshua Greenberg and Frederick Wasser have discussed how a diverse population of numerous entrepreneurs opened video stores across the country in the late 1970s and early 1980s. Suddenly, a large number and wide variety of businesses and individuals participated in "the movie business." Just as importantly, video stores gave everyday shoppers a larger number of movie options to choose from. They fostered a conception of media abundance and catered to people's sense of entitlement to this abundance (even if the selection the stores offered was actually quite limited). They appealed to Americans' sense of individualism by appealing to their individualized tastes (even if most people watched a limited number of Hollywood films). Video stores dispersed and fragmented movie culture, turning Americans into media shoppers by catering to their individualized movie desires. This chapter begins with an examination of the historical, technological, and cultural factors that shaped the development of the video rental business. Americans had long been accustomed to watching movies on television as well as shopping for cultural goods in public retail spaces. Following the technical invention of movies on video, the video store bridged these two activities, thereby conflating movie culture with consumer culture in a new way. Video store advertisements from the 1970s and 1980s illustrate how they catered to and capitalized on American's idiosyncratic tastes in movies, as well as their interest in engaging with movies as part of their habitual shopping routines. Toward the late 1980s and into the 1990s, the video rental industry self-consciously contended with issues of geography and taste, demonstrated by a regular feature in Video Store magazine that examined the video business in a specific region in the United States. In this respect, members of the video industry attempted to understand and capitalize on the dispersed and fractured geography of taste they helped create. The chapter continues with an examination of how video culture was standardized and professionalized in the late 1980s and 1990s, when the corporate video chains like Blockbuster Video, Hollywood Video, and Movie Gallery dominated the industry. The success of these companies indicates how deeply embedded video rental had become in American movie culture. Just like the standardized and unremarkable décor within these corporate stores, the cultural practice of video rental was completely unexceptional in this period. Yet a number of practices and values that video stores helped normalize were intensified in the late 1990s and 2000s in such a way that the traditional, brick-and-mortar video rental industry was undermined. Video rental stores helped create a sense of media abundance, and they helped disseminate a fractured movie culture across America. But the video market itself was expanded and fractured by the growth of the video sell-through market, propelled conspicuously by the widespread adoption of DVD. Suddenly, an increasing number of different retail operations became de facto "video stores," which sold rather than rented movies. Among these many locations, the "big box" discount chains like Target and Wal-Mart became particularly important players in the home video industry. The fracturing and dispersal of video intensified even more notably through the growth of "long tail" retailers, such as Amazon and Netflix, which offered Americans the ability to shop for media commodities over the Internet. These operations provided greater geographic convenience to people who were already accustomed to having an abundance of movie options to choose from. As these and similar companies began to offer movie streaming and "on demand" viewing services, they continued to disperse and fragment movie culture but in such a way as to bypass the need for the video store at all. The chapter closes with an examination of the video rental kiosks that have appeared across the country, with Redbox serving as the most notable example. Whereas long tail retailers extend the logic of personalized movie shopping into a mobile, digital environment, Redbox continues the place-based logic of the video store while eradicating its socially interactive component. 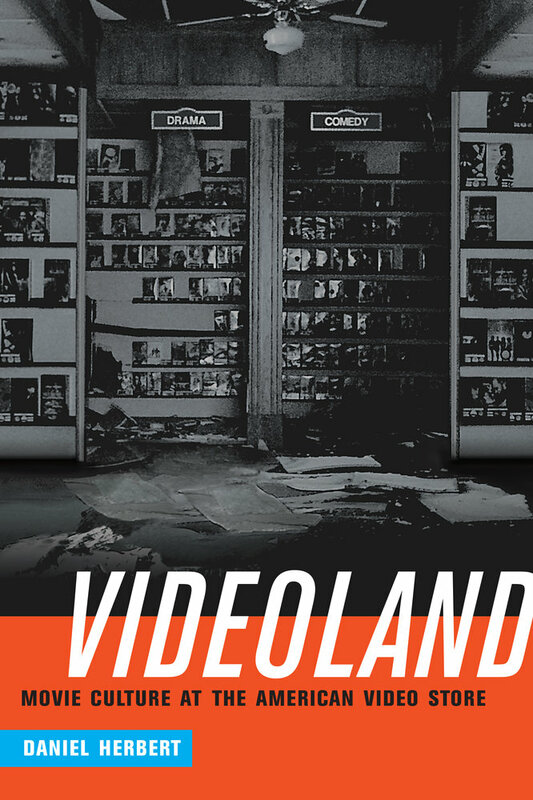 As all these options for movie shopping proliferate and overlap, America now exists as a "videoland" where "the video store" appears in myriad forms and locations. The emergence of the videostore was a widespread, diffused, and haphazard event. Like any historical change, the invention of the video store did not happen in a vacuum; particular conditions facilitated the appearance of these stores and set the stage for their geographic spread and economic success. The historical prerequisites for the specific way in which video rental stores took off in the United States are (1) the normalization of domestic consumption of movies, particularly on television; (2) the advent of movies on a small portable medium, in this case magnetic tape; (3) the synergistic adoption of VCR technology throughout the country, thereby changing the technical infrastructure for movie exhibition on a mass scale; and (4) the normalization of retail stores devoted to cultural goods, like books and musical recordings. Additional factors prompted a rental business model rather than a direct sales one. The initial price point of Hollywood movies on magnetic tape, set around $50 to $70, made videotapes too expensive for general consumers. Further, the Hollywood studios and other early video distributors were often opposed to a rental business model. Yet the entrepreneurs who opened the first video stores maintained that their rental activities were protected by the "first sale doctrine." This component of U.S. copyright law provides that although a copyright holder maintains its rights over the work embedded in a cultural commodity, it does not have control over the commodity itself after it is sold. Ultimately, this did provide the legal basis for the rental model that, for a time, was the norm in the video industry. Moreover, because the Hollywood studios were ambivalent about the rental model, the entrants into this market were typically not people with previous experience in the movie industry; in this respect, the advent of the video rental store decentralized and democratized movie distribution. Rather than an emergence, the beginnings of the video rental industry represent a convergence of social, cultural, industrial, regulatory, and technological activities. Americans had grown accustomed to watching movies in their homes long before Hollywood movies were made available on magnetic tape. Experiments with film consumption within the home occurred at the very beginnings of the cinema, although these early efforts never amounted to much. Likewise, numerous companies encouraged Americans to watch commercial entertainment in their "home theaters" following the advent of 16mm film in 1923; nevertheless, the use of 16mm film for consuming Hollywood films in the home never became universally popular. Rather, the primary mechanisms for the domestication of commercial entertainment were, first, the radio during the 1920s, 1930s, and 1940s and, second, the television in the 1940s, 1950s, and after. Film historians traditionally cite television as contributing to the decline in theatrical movie attendance from the late 1940s through the 1960s. Yet it is just as important to note that many Americans used television to watch movies. Although the Hollywood studios initially resisted airing their films on television, a number of them began licensing their films to television networks and individual stations in the 1950s; the actual airing of feature films was inconsistent throughout the era. A turning point occurred in 1961, when NBC regularized the practice of airing major Hollywood movies in prime time with the series Saturday Night at the Movies. This experiment was successful enough that ABC began airing feature films in prime time in 1964, and CBS did the same in 1965. Over the course of the 1960s, "total prime-time programming hours devoted by the networks to features increased from 2 hours to over 16 with feature film accounting for over a quarter of all prime-time programming by the 1971-1972 season." Although different kinds of television programming remained popular throughout the 1960s and 1970s, television viewers had abundant access to Hollywood films, recent and old, throughout this period. However abundant they were, televised movies obeyed the programming schedules of the individual stations and networks. Further, they were interrupted by advertisements and regularly edited to conform to the time constraints of the programming schedule. One way of making unedited movies viewable at the command of the domestic consumer was to place them on a portable, playable format. Yet the technical process of putting Hollywood movies onto a small, portable object was the outcome of a long and twisty period of trial and error on the part of electronics manufacturers, technophile communities, and small entrepreneurs. Numerous technical innovations in video recording technology through the 1950s and 1960s made it possible to record television broadcasts and, more important, eventually made VCRs accessible to a large number of potential customers. A plethora of formats for playing and/or recording video signals in the home were tested by numerous manufacturers across the globe, from Sony's reel-to-reel CV-2000 and their U-matic cassettes to CBS's electronic video recorder (EVR) to the Cartrivision system, developed by Avco and Playtape Inc., which has the distinction of being the first system to make Hollywood movies available for rent on video in North America. Yet none of these systems found a mass market. Rather, early video cameras, recorders, and players were initially taken up during the 1970s by technophiles who were more interested in tinkering with these machines than using them as movie-delivery vehicles. When Sony initially put the Betamax VCR system on the North American market in 1976, they promoted it as a "time-shifting" device, as a means for Americans to record television programs and replay them at a later time, thus "shifting" the time of television viewing; VHS was promoted similarly when it entered the American market in 1977. Vitally, the VCR arrived in North America at nearly the same moment that the Home Box Office (HBO) cable channel began airing unedited movies and sporting events without commercial interruption via the Satcom 1 satellite. The simultaneous appearance of the VCR and HBO helped normalize and combine the ideas that movies could appear on TV without interruptions and that Americans could control the conditions of domestic viewing. HBO may have even served as an incentive for people to buy VCRs, with which they could record the unedited movies the station played. In this context, other individuals quickly realized the capability of VCRs to play prerecorded content. Producers and distributors of adult movies had experimented extensively with using different video formats for exhibition; people working in adult cinema had even established a semiformal distribution network by the mid-1970s, thus presaging and in some ways informing the way the mainstream home video distribution business developed. Yet Andre Blay, of Magnetic Video in Farmington Hills, Michigan, was the first person to successfully acquire the rights to Hollywood films, put these movies on magnetic tape, and make them commercially available in 1977, making him largely responsible for the creation of the mainstream home video business. Originally, Magnetic Video engaged in the commercial reproduction of 8-track tapes and audiocassettes. The company began producing corporate training videos in the mid-1970s, primarily for the auto companies in Detroit, and these tapes sold for as much as $750. From the start, then, in fact preceding the development of the mainstream home video market, Blay used video technologies for the commercial delivery of prerecorded content. Thus Blay saw the VCR and magnetic tape as vehicles for the commercial delivery of recorded content, not as a time-shifting device. After Betamax arrived in North America, Blay sent a letter to numerous Hollywood studios asking to license their films for distribution on magnetic tape. Only 20th Century Fox responded, agreeably, after having already licensed some of its films to RCA for a movie-on-disc format. The studio offered one hundred movie titles for $5,000 each, but Blay could not afford this amount, so the final deal was to license fifty films for $6,000 per title. Given a list of one hundred movies to choose from, Blay cross-checked them with Variety's list of the hundred top-grossing films and chose the top fifty. He writes, "I did not rely on any other criteria such as actors or even the director." Blay's selection had no artistic pretensions and actually reflected the logic of the video industry to come, namely, that it would largely expand on the success a film found in the theatrical window. Blay broadened movie culture by catering to Americans' divergent tastes and by conflating movies and retail. He initially marketed his tapes to electronics retailers, who Blay required to buy a large batch of tapes, as well as to individual consumers, for whom he devised the mail-order Video Club of America. He promoted the breadth of his selection to both these groups, appealing to a desire for diversity. In describing his decision to release all fifty tapes at once and to highlight the breadth of the selection in early marketing materials, Blay writes, "I wanted to wow them with variety." Blay nurtured the idea that his product would cater to people's individualized tastes in movies, not merely their ability to watch them at home on their own schedules. He made an appeal to taste-popular tastes but divergent. Although his list was limited, Blay offered more choices than the limited selection of films playing at the local theater or on a nightly broadcast. In this respect, he anticipated and facilitated the personalization of movie consumption. Further, by establishing contracts with electronics retailers, he connected movie culture to delivery technologies. He also created a connection between movies and retail practices that had not existed before. People paid for theatrical movie tickets just before the time of consumption; Blay made it possible for people to survey and contemplate their movie options long before consumption would actually occur. He made movies shop-able. Further, through the Video Club of America, Blay created a new and individualized geography for movies. Although people had watched movies on television for years, now they could own movies as material commodities and view them whenever they chose. As much as Blay's business activities coordinated with Americans' appetite for Hollywood films and their desire for control, he based his business on sales rather than rental. In fact, he made retailers sign an agreement that they would not rent the tapes, as he feared that they would then stop reordering tapes from him. Instead, the rental model was developed in an almost grassroots, populist manner. Many different people from across the country began buying movies on video and renting them to paying customers, greatly diffusing movie distribution. These entrepreneurs' activities depended crucially on the first sale doctrine, which allowed anyone who bought a movie on a VHS tape or laser disc to do whatever he wanted with this object, as long as he did not copy its contents. In this respect, Andre Blay's transmutation of movies into material, portable objects is precisely what made movies rentable and resalable, even if Blay did not foresee or even condone this activity. Daniel Herbert is Assistant Professor of Screen Arts and Cultures at the University of Michigan.